The world's first Sorting Carriage was built in Britian in 1838 and was used between Birmingham and Liverpool on the Grand Junction Railway. 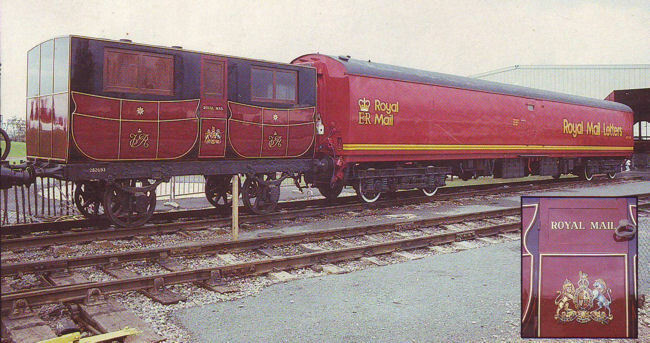 It owed its design to the horse drawn Mail coaches that the railways began to replace. A replica of this first coach was built in 1938 and can be seen at the National Railway Museum in York, UK. It is seen here, on the left, outside the Museum in 1988.